This book critically examines the geopolitical and economic contexts of the region's export-oriented industrialization. The first part of the book focuses on the global and regional elements of the economic system and recent geo-politics. The second part of the book focuses on the domestic actors and institutions which played critical roles in the miracle economies of East Asia. 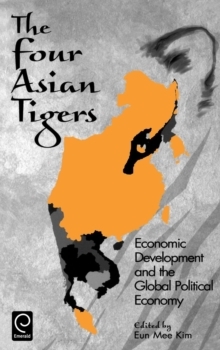 This collection of original papers describes the economic developments and environment that underlie the East Asian NICs. Through a comparison of the Four Tigers - South Korea, Taiwan, Hong Kong, and Singapore - the contributors deliver a case-oriented study that explains the region's most successful economies. This book is the first region-wide comparative study to provide readers with country-specific information about economic environments and development. The authors examine the transferability of this region's experience to others. It charts the successful dynamic relationships between geopolitical, economic, and social resources. It is relevant to sociological and economic studies. There are in-depth case studies combined with comparative analysis within the region. There is incorporation of global security and economic contexts in the analysis of economic development and democratization.